88Vape's Mod e-liquids are the perfect product for use with RDAs, drippers and sub-ohm devices. 88Vape Mod Liquid Strawberry Mousse E-Liquid is a decadent dessert e-juice with a complex, multi-layered flavour, which will provide an experience which is unrivalled in intensity when used with the correct equipment. Strawberry Mousse Mod E-Juice is supplied in 3 x 10ml childproof dripper bottles and is available in a nicotine strength of 3mg. 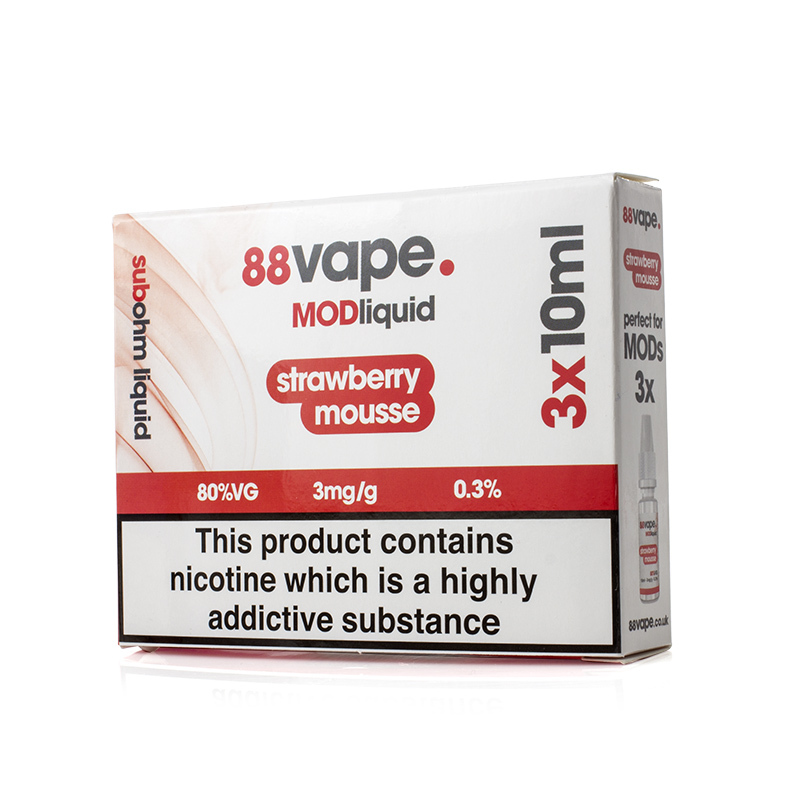 The 88Vape Mod Liquid Strawberry Mousse provides you with a creamy strawberry taste so rich and delicious you'll swear it belongs in a bowl. Mod Liquid Strawberry Mousse has a combination of 80/20 (VG/PG) for a strongly-flavoured experience with massive vape clouds. 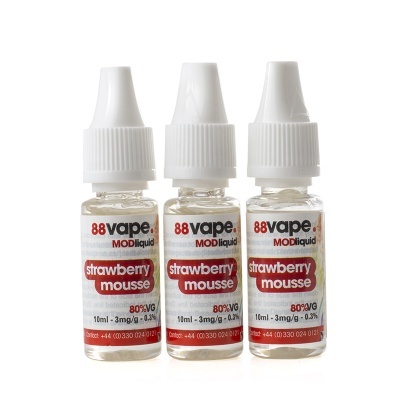 88Vape Strawberry Mousse Mod is supplied in 3 x 10ml bottles only.